Late last week Microsoft issued a new build of Windows 10 to its 'Insiders'. Windows 10 Insider Preview Build 14971 for PC was released to the fast ring and made a change to a long standing constant in Windows - PowerShell became the default command line utility. Incidentally, fact fans, PowerShell had its 10th birthday last week. "In an effort to bring the best command line experiences to the forefront for all power users, PowerShell is now the defacto command shell from File Explorer," wrote Dona Sarkar, software engineer in Microsoft's Windows and devices group. Ye olde cmd.exe will no longer be summoned up if the user invokes a command line from the Win + X menu, directly from File Explorer, or from the File Explorer context menu. Furthermore typing in 'cmd' in Windows search/address won't launch cmd.exe but PowerShell, as does the string 'powershell'. If PowerShell doesn't appeal to you, you may be happy to know that Microsoft has included a way to opt out of the change. In Settings > Personalization > Taskbar you can turn the 'Replace Command Prompt with Windows PowerShell in the menu when I right-click the Start button or press Windows key+X' option to 'OFF'. There are several other changes in Windows 10 Insider Preview Build 14971 for PC. 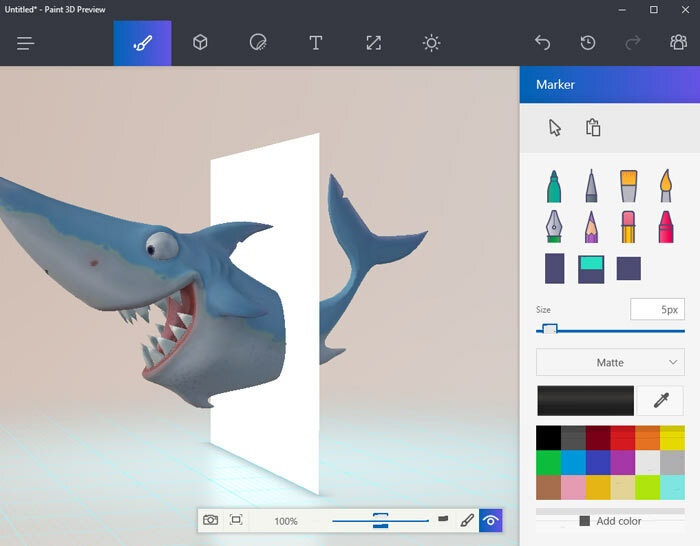 Microsoft chose to highlight that; Insiders can now read unprotected ePUB books in Microsoft Edge, the Paint 3D Preview app is now included as part of Windows 10, it has improved Japanese and Chinese Input Method Editors (IMEs), and it introduces the Get Office version 2.0 app. There's lots of fixed and known issues listed which may or may not affect you, so it might be worth a look through the full Microsoft blog post if you are one of the fast ring insiders, or interested in becoming one. IIRC, there is a GPO to make it the default as well. Never felt the need to migrate, Command Prompt has always done what I've needed it to do, I like to keep things as simple as possible. As of yet I've not been required to engage in any component that is only PS based. Beta preview software often is! Think I'd be more impressed if they made bash (especially the Cygwin version) the default. Linux bigotry aside though, I've heard good things about Powershell - to the point of having ‘find a decent tutorial or intro’ on my tech to-do list. Anything that modernises/replaces that God awful DOS relic of a shell is to be welcomed.